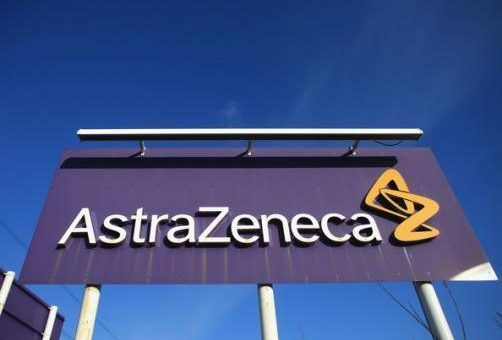 After several years of growing expectation, AstraZeneca’s long-awaited MYSTIC immune-oncology trial has failed to show benefit over standard lung cancer therapy. 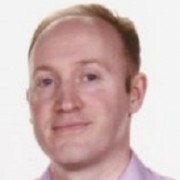 The combination of two different immunotherapies, Imfinzi (durvalumab)and tremelimumab did not meet the primary endpoint of improving progression free survival (PFS) compared to standard of care in non-small cell lung cancer (NSCLC) patients whose tumours express PD-L1 on 25% or more of their cancer cells. The news is a huge blow to AstraZeneca’s (AZ’s) ambition to be a major player in the lucrative immuno-oncology field, which is currently being dominated by Merck’s Keytruda. The MYSTIC phase 3 trial will continue, with two additional primary endpoints of overall survival (OS) for Imfinzi monotherapy and OS for the Imfinzi plus tremelimumab combination expected in the first half of 2018. But while the immuno-oncology field has regularly produced major surprises over the last few years, it now looks very unlikely that this combination could challenge Keytruda’s dominance. The result also creates a hole at the centre of CEO Pascal Soriot’s longstanding promises to lift AZ revenues to $45 billion by 2023, a target which was already looking hard to reach. Analysts will now slash the expected lifetime revenues of the two drugs, in monotherapy and in combination, especially as NSCLC is by far the most lucrative cancer market. Evaluate Pharma had forecast cumulative sales of $41.4 billion for Imfinzi between 2017 and 2022, but this figure could easily be halved, depending on how it fares in other indications. That doesn’t mean it is all over for Imfinzi in lung cancer: the drug has hit its PFS target as a monotherapy in locally advanced unresectable NSCLC in the separate PACIFIC trial, and AZ is already proceeding to file it with regulators in this setting. The drug gained its first accelerated approval from the FDA for locally advanced or metastatic urothelial carcinoma (mUC) in May. However its also-approved rival, Roche’s Tecentriq, has just missed its OS endpoint in this indication, opening up the possibility that immunotherapies could lose their licences if long-term data doesn’t back up their efficacy. The Imfinzi + tremi combination is being studied in a number of other trials. These include two phase 3 trials focused on Asian populations: the NEPTUNE trial of the combination therapy for first line NSCLC patients and phase 3 PEARL trial of durvalumab monotherapy versus standard of care chemotherapy in first line NSCLC patients whose tumours express PD-L1. AZ has sought to soften this blow with the announcement of a new alliance with Merck, now flying high in oncology thanks to Keytruda. The two companies are to enter a global collaboration to co-develop and co-commercialise AZ’s Lynparza (olaparib) for multiple cancer types. Lynparza is one of three PARP inhibitors recently launched on the market, and the link-up with Merck should give AZ an excellent chance of making its drug the therapy area leader – Soriot gambling that sharing bigger revenues with Merck will be a better deal than retaining all sales but going it alone. The companies will develop and commercialise Lynparza jointly, both as monotherapy and in combination with other potential medicines. Independently, the companies will develop and commercialise in combination with their respective PD-L1 and PD-1 medicines, Imfinzi and Keytruda. Lynparza is now being developed by AZ in 14 indications, including breast, prostate and pancreatic cancers. Finally there was also good news from another of AZ’s oncology portfolio, Tagrisso, its targeted NSCLC treatment. It has shown a statistically-significant and clinically-meaningful PFS benefit compared to current first-line standard-of-care treatment (Roche’s Tarceva or its own Iressa) in previously-untreated patients with locally-advanced or metastatic epidermal growth factor receptor mutation-positive (EGFRm) NSCLC. The dramatic announcement comes just two weeks after rumours swirled that Pascal Soriot was leaving AZ to head Teva. He is now understood to have pledged his future to AZ, which will need more time and good trial results to steer it towards a return to growth.